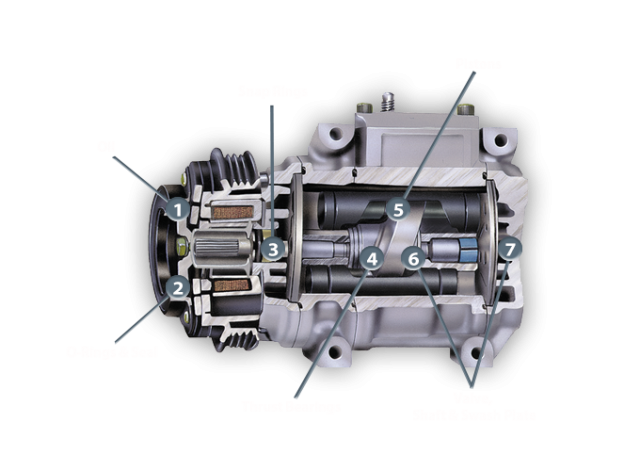 The compressor is the heart of an auto’s air conditioning system, circulating the refrigerant that is vital to proper operation. It’s a precision machine, with critical internal tolerances as fine as those of any racing engine. Reman-Tec Ltd offers both factory-new and fully reconditioned compressors to the repair industry and consumers as well. Reman-Tec A/C compressors are re-manufactured to meet all manufacturer’s standards and the company’s own rigorous standards. Our compressors are so highly regarded that lookalikes and counterfeits have appeared on the market. 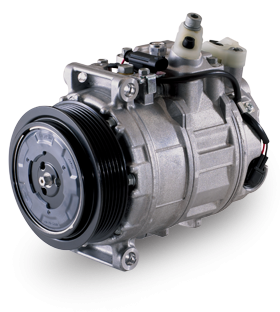 Don’t be taken – demand a genuine or Reman-Tec A/C compressor to have best quality product. Oil – 100% replaced with OE-specified oil. O-Rings & Seals – are replaced with OE-specified O-rings, which are compatible with both R12 and R134a refrigerants; including added factory O-ring installation kit to prevent leakage and ensure proper installation. Snap Rings – improve performance under extreme heat; 100% new on all units. Thrust Bearings – are cleaned and inspected to OE standards; structured to withstand tension and stress for maximum durability. Pistons – are inspected and damage is checked and cleaned to avoid blow-by; 100% replaced if PTFE surface is damaged. Valve, Shaft & Swash Plates – are designed with a lightweight aluminum alloy for added strength; cleaned, polished and inspected to OE standards.